The proposed one-day strike called by four central trade unions in Coal India Ltd to protest against the government decision of allowing commercial coal mining by private companies has been withdrawn due to lack of unity among them, a union leader said on Saturday. The four central trade unions CITU, BMS, HMS and AITUC had served the joint strike notice on March 14. Subsequently, a meeting was conducted between Coal Minister Piyush Goyal and the trade unions on Thursday and another meeting was held with Coal Secretary Susheel Kumaron Friday. "The BMS and HMS signed the minutes in Hindi to withdraw the proposed strike scheduled on Monday. AITUC and CITU representative did not sign the minutes. We are left with no option but to withdraw our decision to go for one day strike," Indian National Mineworkers Federation (affiliated to INTUC) Secretary General S.Q. Zama said. 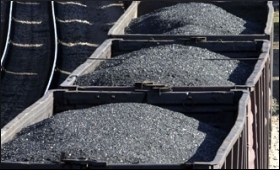 In a major reform in the coal sector since its nationalisation in 1973, the Central government had decided to allow private companies to mine coal for commercial purposes - a move expected to put an end to monopoly of Coal India.